#SOSMexico Ayuda a miles de personas afectadas por los sismos del jueves 7 y martes 19 de septiembre en México. We call on the international community to send economic resources to help the Mexican population affected by the severe earthquakes of September 2017 which have cause great damage in several areas of the country. We make this call from various non-profit organizations created by Mexicans abroad, with the commitment that all funds raised will be sent to Mexican entities that are directly helping the people affected by the earthquakes. 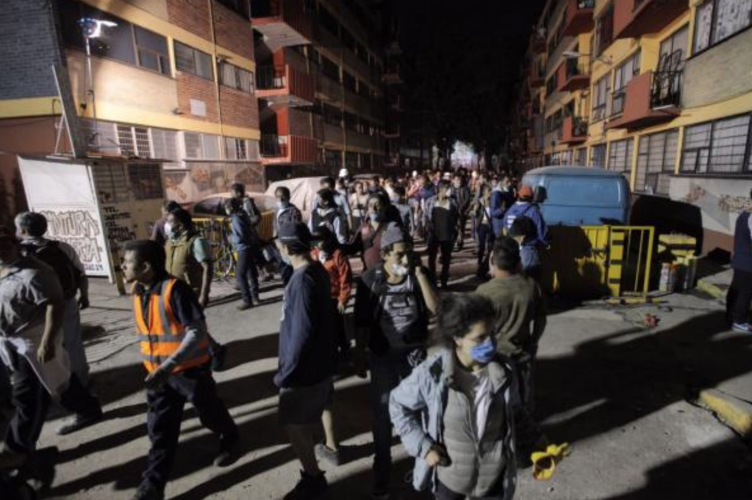 In Oaxaca and Chiapas: On Thursday, September 7, an earthquake of 8.2 degrees on the Richter scale caused serious damage in Oaxaca and Chiapas, where more than 100,000 buildings were affected, leaving thousands of people without their home. In addition, during the last weeks there have been aftershocks (subsequent earthquakes), as well as heavy rains, floods and mudslides. There is a shortage of food and drinking water, lack of medicines, daily hygiene products and materials for reconstruction. 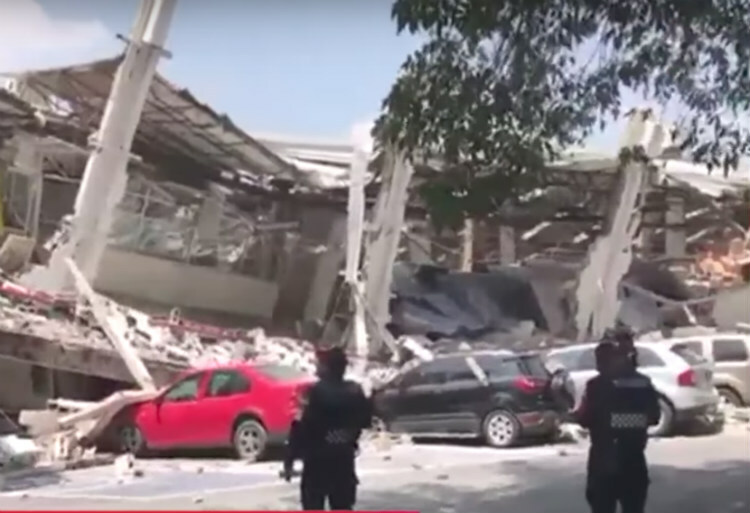 In Mexico City, Puebla, Morelos and Estado de México: On the day of the 32nd anniversary of the 1985 earthquake that caused serious damage to Mexico City, on Tuesday, September 19, 2017, an earthquake of 7.1 degrees on Richter scale shook central Mexico causing serious damage in the states of Puebla, Morelos, Estado de Mexico and Mexico City. 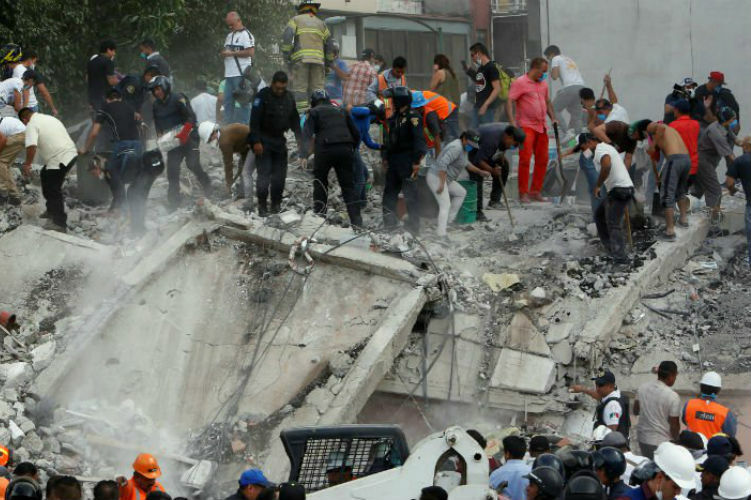 The numbers have not yet been closed, but more than 200 people are already dead, while many are still trapped in collapsed buildings (Sept. 20). Any collaboration is welcome and necessary! 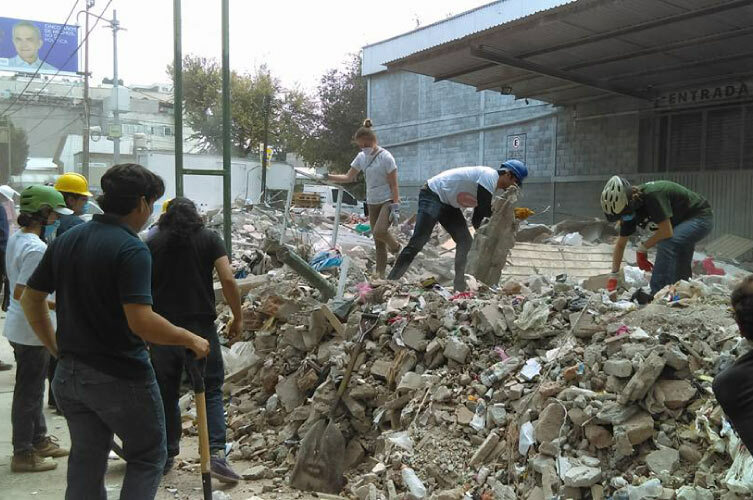 Convocamos desde diversas organizaciones sin ánimo de lucro creadas por mexicanos en el extranjero, con el compromiso de que todos los fondos recaudados serán enviados a entidades mexicanas que estén ayudando directamente a los afectados por los distintos terremotos. Ernestina Ortíz Peña: Representante del Congreso Nacional Indígena. Mujer indígena otomí, originaria de Santiago Tilapa, Estado de México. Mardonio Carballo: Intelectual, poeta, actor, periodista y activista mexicano, originario de Chicontepec, Veracruz. We make this call from various non-profit organizations created by Mexicans abroad, with the commitment that all funds raised will be sent to Mexican entities that are directly helping the people affected by the various earthquakes. Ernestina Ortíz Peña: Representative of the National Indigenous Congress. Otomí indigenous woman, native of Santiago Tilapa, State of Mexico. Mardonio Carballo: Intellectual, poet, actor, journalist and Mexican activist, originally from Chicontepec, Veracruz. Convocamos desde diversas organizaciones sin ánimo de lucro creadas por mexicanos en el extranjero, comprometidas desde hace varios años en la lucha por la paz y los derechos humanos en México. Mexicanas en Montreal contra la violencia en México: Colectivo ciudadano afincado en Montreal que busca promover la cultura de la no violencia, luchando contra el machismo, racismo, clasicismo y buscando la paz y el respeto a los derechos humanos en México. Desde sus inícios en 2011 se sumaron a la Red Global por la Paz en México. We make this call from various non-profit organizations created by Mexicans abroad, committed for several years in the struggle for peace and human rights in Mexico. Mexicans in Montreal against violence in Mexico: A citizen group based in Montreal that seeks to promote a culture of non-violence, fighting against machism, racism, classicism and seeking peace and respect for human rights in Mexico. Since their begining in 2011 they joined the Global Network for Peace in Mexico.